A thriller set in a parched Australian farming community, in which Federal agent Aaron Falk is called back to his hometown for the funeral of his best friend, Luke, who apparently committed suicide after killing his wife and 6-year-old son. [Harper] has jampacked her swift debut thriller with sneaky moves that the reader has to track with care ... Ms. Harper throws out so many teasing possibilities that it’s hard to believe this is her first novel ... 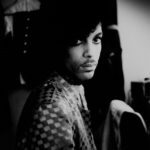 The Dry is a breathless page-turner, driven by the many revelations Ms. Harper dreams up for Falk during his visit ... The dryness that gives the book its eerie title looms large in the novel’s finale, when certain kinds of weapons become even more terrible than those used to butcher the Hadlers. And a book with a secret on every page now has threats blooming everywhere, too. The Dry has caught the attention of Reese Witherspoon, who has a solid track record for spotting novels with strong movie potential. But Ms. Harper has made her own major mark long before any film version comes along. The narrative is pared down, the pace is slow and sombre; this is no lush paean to Australian flora and fauna but the evocation of a dead zone ... What most impresses is Harper’s presentation of a largely male world and viewpoint. Aaron must face down the town’s blustering hardnuts in their sour, men-only enclaves. The female characters are regularly appraised with a flicker of sexual interest as Aaron clocks a flirty outfit or a pair of blue eyes. The dialogue is gruff and to the point, and the dogged psychological realism of the novel precludes the deployment of the sort of shock twist that upends the action but falls apart logically on closer inspection ... 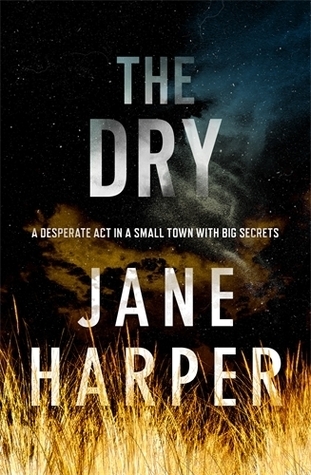 The no-frills storytelling is indicative of Harper’s career as a journalist; though this won an Australian literary award for an unpublished manuscript, it’s a crisp and functional whodunnit rather than a literary work...Nevertheless The Dry is skilfully written and absorbing, and unlike many a body-strewn thriller, its unfortunate victims are made to seem more than just blood-spattered ciphers. Harper’s debut novel portrays the outback at its most cruel: a force that gives and takes life, as unforgiving and fierce as the bleak Nordic snowscapes that have become synonymous with great crime and horror writing ... tap[s] into a long tradition: one in which landscape is both a trigger for psychological change, a marker for pathetic fallacy, and a mirror that draws on deep-seated fears and cultural clashes about what it means to be Australian.